Ads by Media Buzz are extremely debilitating because they can show up on the web pages you visit and drown them with different offers, recommendations, deals and suggestions. Even though some of the offers may seem reliable and computer users may be glad to discover them, trusting ads presented by suspicious programs is not something that virtual security researchers support. In fact, you could get into a great deal of trouble just by clicking on unreliable advertisements. 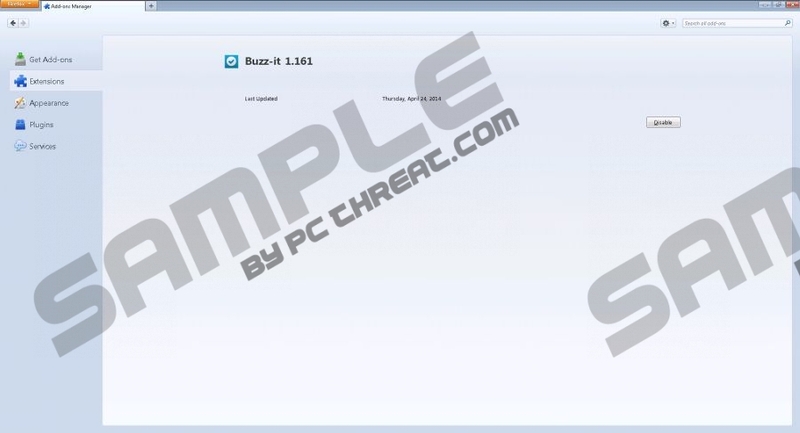 If you do not want to face the risks, you certainly should remove Ads by Media Buzz, and you can read the report to learn how to delete adware from the Windows operating system. Media Buzz is the application which is responsible for the suspicious online advertisements flooding your web browsers. This particular program does not have an official page and its developers use software packaging technique to proliferate it. So far malware researchers have discovered that the program can travel packaged together with Conduit Search, Surftastic, BitcoinMiner, and software distributed using Amonetize bundles. Are you familiar with any of these programs? Have you found them running on your browsers or the operating system as well? If you are not familiar with them and, more importantly, you did not give permission for their installation – remove them. Do you know why Ads by Media Buzz are considered to be dangerous? It is because they could activate the installation of hundreds of other unreliable programs. All that you need to do is click once on the wrong advertisement and allow the installation of one suspicious application. After this you can expect a number of unfamiliar programs running on the computer. You certainly do not want to be tricked into exposing your virtual identity to cyber criminals, visiting potentially dangerous websites or downloading unreliable software. Therefore, you need to stay away from questionable software updates, media player installers, too-good-to-be-true offers and suspicious advertisements. Adware is often coordinated by unreliable parties. If you do not want to worry about Ads by Media Buzz removal in the future, and you do not want to install other advertisement supported programs, you need to research the software you install. You also should ignore suspicious advertisements and offers which you can disable with the help of ad blockers. Of course, right now you need to figure out how to remove Ads by Media Buzz. We have conducted the manual removal instructions below which should help you. However, if any problems arise, you should not hesitate to install automatic malware removal software to have adware eliminate successfully. Click Start on the Task Bar to open the user menu. Now select Control Panel and go to Add or Remove Programs. Choose the program you wish to get rid of and click the Remove button. Navigate to the Task Bar and click the Start menu icon on the left. Right-click on the Metro UI menu and select All apps to access the Apps menu. Now click Control Panel to open a new menu and finally select Uninstall a program. Choose the application you wish to delete, right-click it and select Uninstall. Quick & tested solution for Ads by Media Buzz removal.